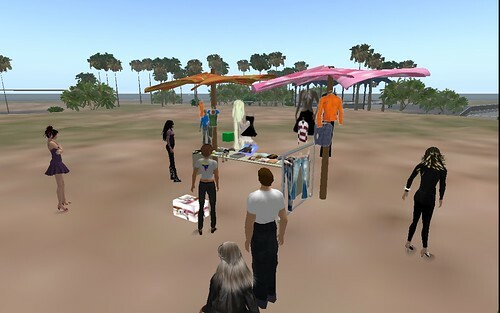 While this blog is about my personal Second Life teaching experiences, explorations and experiments, there is also a SLexperiments language teachers group, which I founded together with two wonderful colleagues of mine, Alicia Barbitta and Maru del Campo. 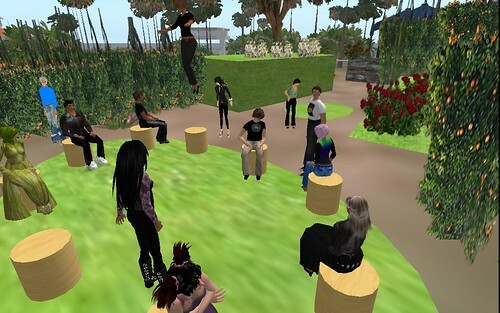 We started to meet regularly in Second Life to help each other learn SL skills, share our resources and discuss language teaching and learning in Second Life. 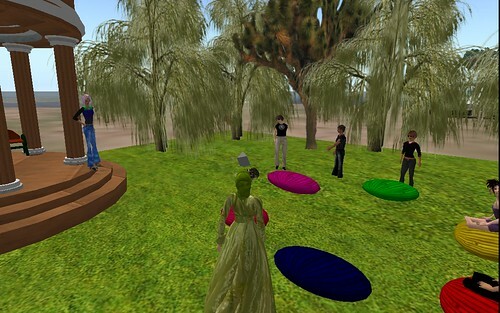 While there are many educator groups in Second Life, the SLexperiments group focuses specifically on language teaching and learning. 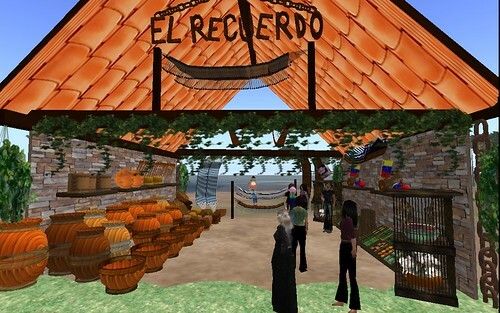 This has attracted many language teachers and also some teacher trainers, scripters and researchers. 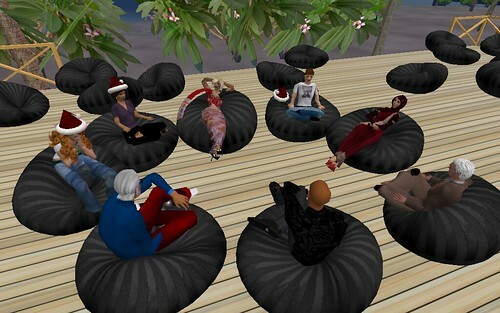 We have grown to over 80 members and have met regularly every Friday at 11am SLT since spring 2008. 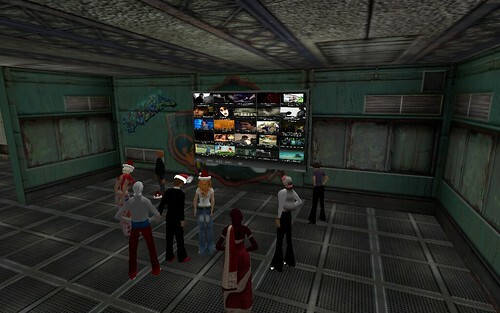 We have had many good discussions, helped each other acquire SL skills, gone on field trips and shared many tools and resources in-world and on our wiki. 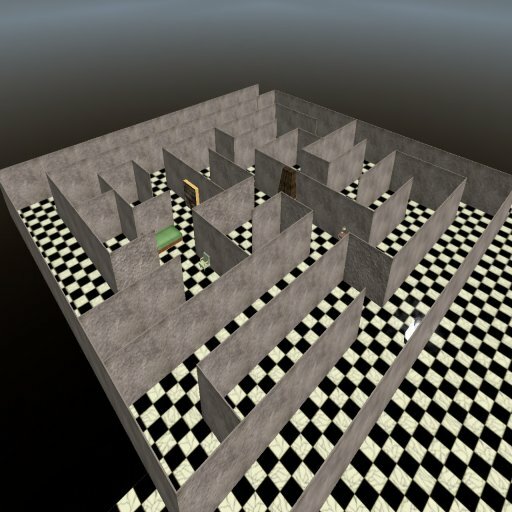 I want to thank Alicia, Maru, Carol, Dennis, Steve, Gavin, Daf, Nelba, Graham, Ismail, James, Michael, Birgit, Minhaaj, David, Nellie, Vance and all the other members, regular and irregular participants for making the SLexperimens meetings such a pleasurable experience where we not only learned a lot together but also socialised and had lots of fun. 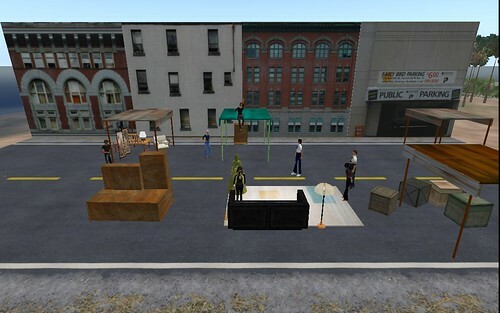 You have all made my Second Life richer and I have learned a lot from and with you. I wish you wonderful holidays and hope to see you all again next year. 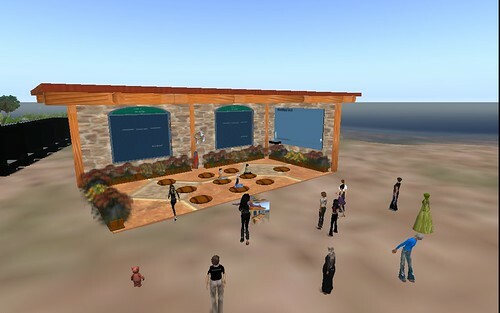 MUVEnation will help teachers acquire the necessary competencies to integrate massively multi-user virtual environments (MUVEs) into their teaching practice ; by exploring the links between : virtual worlds, learning and motivation, active learning and pedagogical approaches that include socio-constructivism, situated learning, project based learning, learning by doing, game based learning, simulations and role-playing. 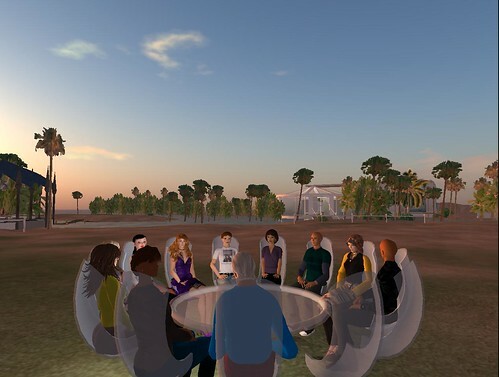 I am looking very much forward to the course and will share what I learn with my colleagues in the SLexperiments group, in the EVO2009 session that I will co-moderate next year and with everybody else through my reflections that I will be posting here. 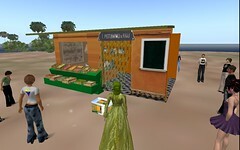 Special thanks to Cristina Costa, who informed me about the course.